Following his first air-balloon flights in 1784 and 1785, James Sadler spent the next 25 years as an engineer, inventor and chemist, before returning to ballooning, aged 57, in 1810. Sadler had several Bristol associations, including helping the chemist Thomas Beddoes set up his Pneumatic institute in Hotwells and marrying his second wife here. In 1811 he became the first man to fly over (but then into!) 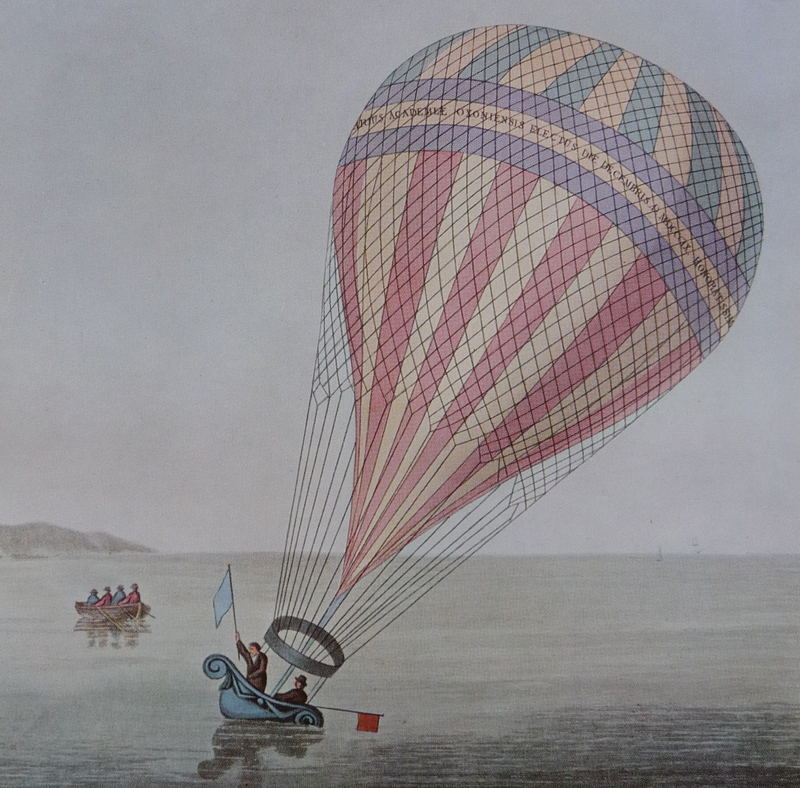 the Bristol Channel, one of many records he set, with his son Windham, in this very first phase of the history of flight.